At Snowy River Caravans, our goal is to build superior quality caravans for Australian families of all shapes and sizes. 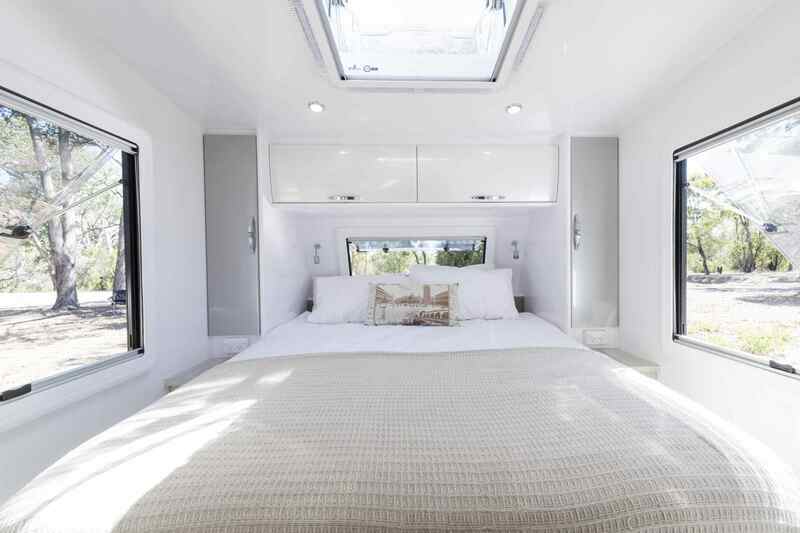 All of our beautiful imported vans have excellent attention to detail, with fully welded aluminium frames and a fibreglass exterior for strength and durability. 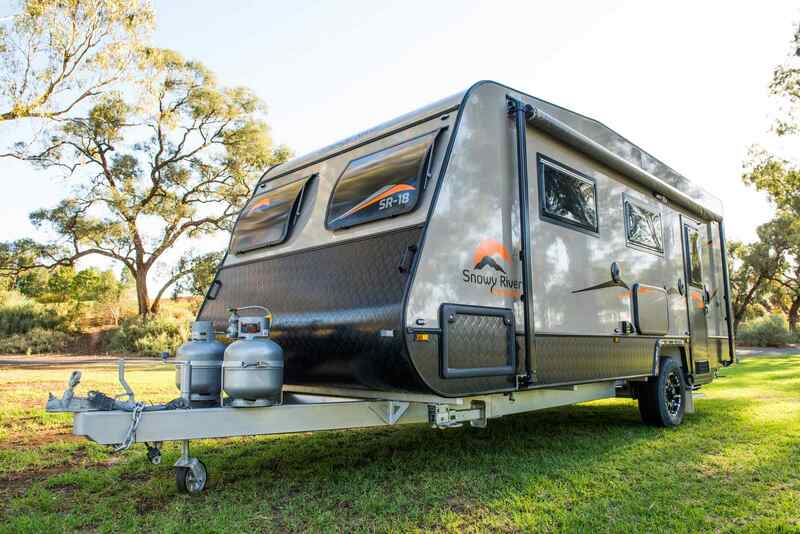 Offering an affordable, yet robust caravan for touring Australia, the SR18 brings together all the luxuries of a larger caravan and is designed and built for the demanding Australian conditions. Featuring functional and efficient LED downlighting, a first-class kitchen (which includes a 3+1 Cooker top + mini grill) and a 12-volt rangehood. 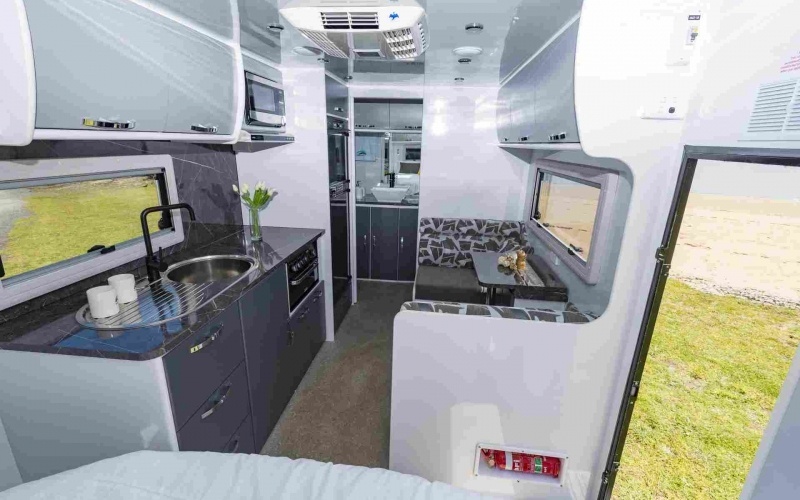 Perfect for a couple, the Café style dinette for offers plenty of comfort and space. The SR17 also comes standard with a Thetford cassette toilet. 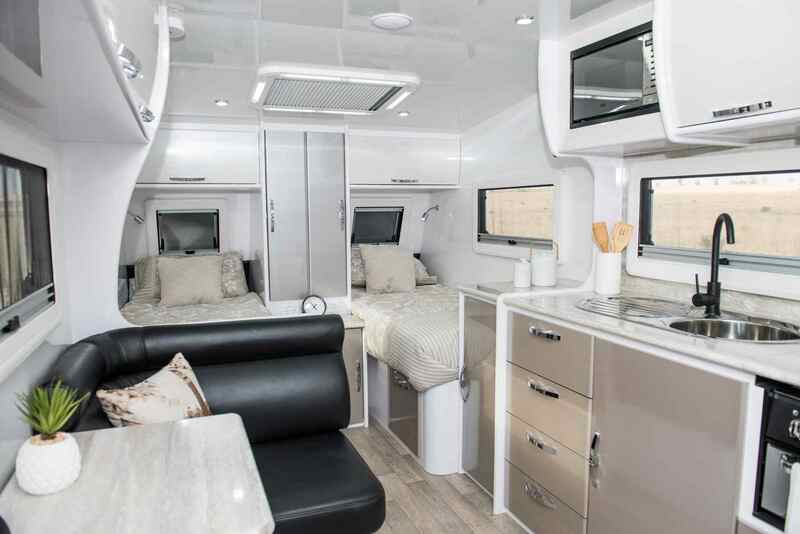 With the option of standard single beds or the queen island bed, the Snowy River SR18 is comfortable in all configurations. Featuring a reverse-cycle air conditioner and Jack digital TV antenna, you can keep cool and entertained all summer long. The SR18 has been balanced between ease of towing of a single axle with the features and functionality of a larger van.